Dira offers a wide range of automotive glass, provides assistance for the identification of the glass and on the order, and ensure the immediate dispatch of the product for a quick delivery throughout Italy. 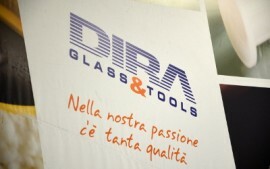 Thanks to the wide range of automotive glass available, Dira allows people to buy quickly with the best market prices. Dira is able to ensure the detection of the right glass even starting from the number plate and chassis number of the vehicle. The team provides ongoing support throughout the entire process of identification, buying and receiving the desired product. A wide range of products always available: windscreen, sidelights, quarters, rear windows, mouldings and more. A wide range of options with the best quality/price ratio on the market, with all the security on the delivery times and reliability of Dira. Three locations and over 100 distribution centers throughout Italy, with average delivery times estimated in 12/24 hours. Up to 500 products always in the catalog, available for all those who have to proceed to the removal, installation and care of the glass. Guaranteed process for selection, ordering and receiving the desired glass. A service of e-commerce fast and precise, with all the live assistance of a dedicated team in the early stages of the identification of the glass. Orders can be made online immediately starting the stages of the identification, packaging and shipping. The dispatch of the goods is immediate thanks to the availability provided by the catalog and delivery times are fast and guaranteed.